Great pictures! It's getting cold here too - snow forecast for the weekend - so I'm dreaming of sunny Florida as well! Ah, what beautiful pictures for November. It's cold here in NJ today and just started snowing outside. 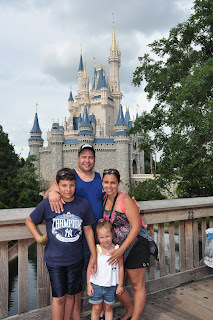 These pictures bring back happy warm memories of Disney. Thanks for sharing and for joining in on the DWW Blog Hop. I like the way you think - I could stand to be looking at a beautiful beach every day of November too! Great pics, I love CBR and the laid back feeling you get there..